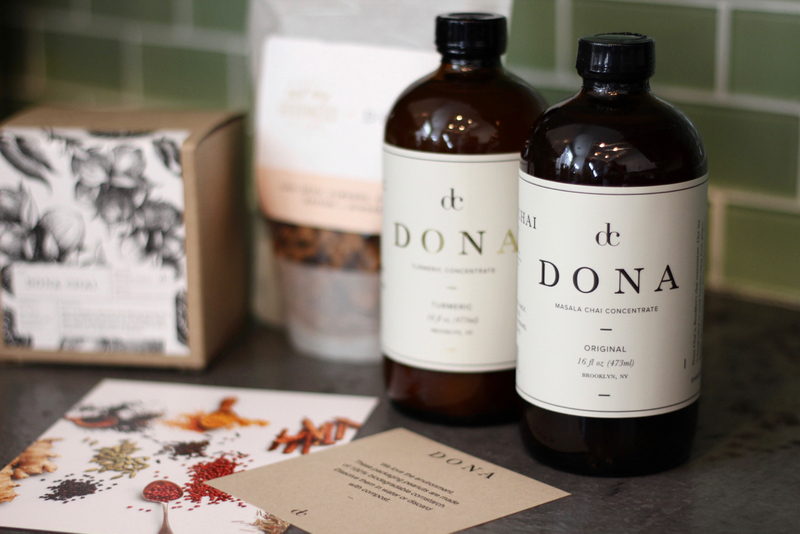 Dona Chai products include their signature chai and turmeric concentrates, granola, and chai scented candle. Daily Coffee News photo by Lily Kubota. When Dona Chai launched in March of 2014, founder Amy Rothstein’s time was split between getting the company off the ground and her graduate work in food studies at NYU. “I knew I wanted to be in the food industry, but didn’t know exactly what I wanted to do,” Rothstein told Daily Coffee News. Just four years later, Dona Chai’s chai and turmeric concentrates can be found in upscale coffee shops from coast to coast in the United States, highlighting the trajectory of a unique craft food brand and its ambitious founder. As a casual coffee lover moving to New York City, Rothstein started exploring cafes and trying new coffees at home. She began to take note of craft roasters, local bakeries, and the farms where the milk was from. However, she noticed a was a gap when it came to one popular cafe offering. 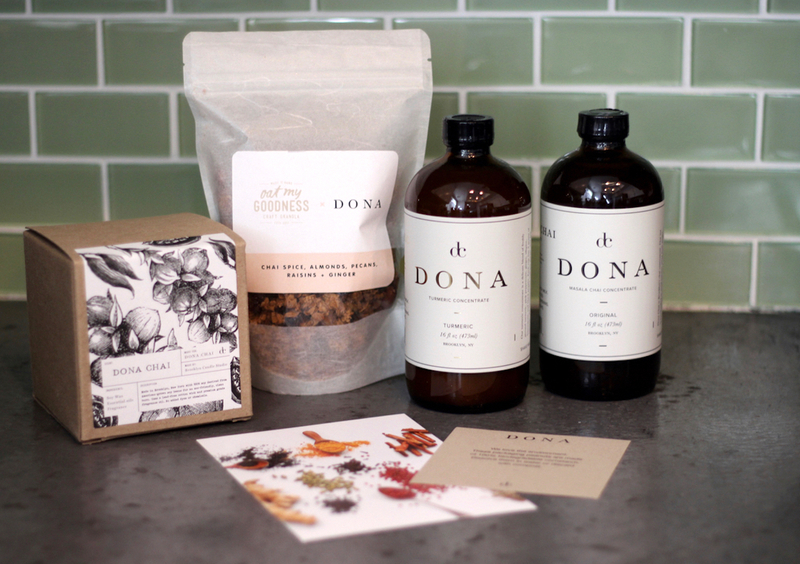 The original Dona Chai recipe attempts to remain true to traditional chai brewing techniques, Rothstein said. With a slow-steep technique to maximize flavor, freshly ground spices are combined in water with ginger and tea, which is then strained and lightly sweetened with a touch of sugar. Rothstein said that only eight grams of sugar per serving results in the chai concentrate. Dona imports spices from all over the world — cupping them to test for flavor profile and quality — paying special attention to the origin, spice variety, and growing conditions. Since varieties rotate based on availability, as they do with coffee, Rothstein said that it is very important for her team to be knowledgeable and comfortable with adjusting the recipe, in the context of an always-changing industry. The design objective was to reflect the purity of the ingredients through a clean and simple aesthetic — a timeless, delicate look that would communicate the quality of the product and embody the high-end nature of their handmade, small-batch process. Over the past four years, updates have been made to the packaging and labels, Another round of updates launching soon will include a screen-print design on DC’s amber glass bottles. With each update, Rothstein strives to remain true to the brand. 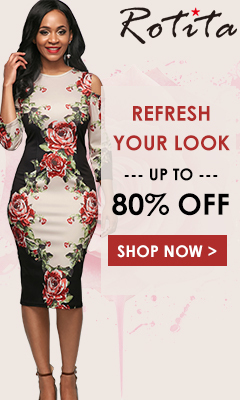 After looking for the right bottles at the grocery store and on the internet, Rothstein reached out to people in the industry, eventually finding someone who could connect her to a supplier. The existing product design also plays well in marketing potential health benefits. 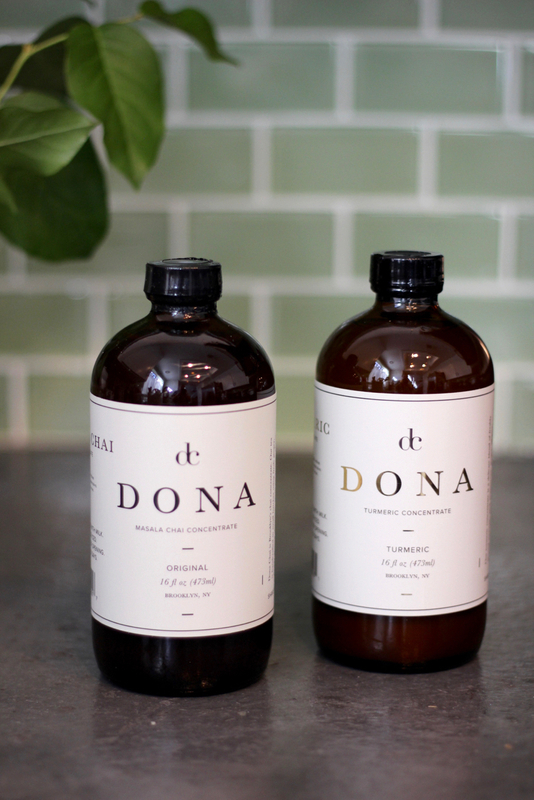 Dona Chai claims its chai concentrate is “high in antioxidants, and aids in circulation and digestion.” Rothstein points to many ayurvedic practices and Eastern medicine where spices are used for their numerous beneficial properties. 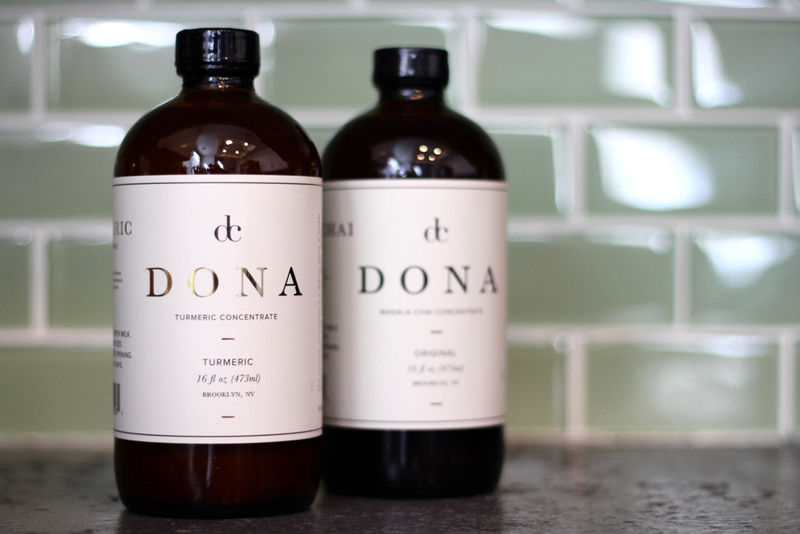 The other core product in the Dona line is the turmeric concentrate, a blend of freshly ground turmeric, pink peppercorn, ginger, allspice, lemongrass, and black pepper. Both the chai and tumeric concentrates call for equal parts of the concentrate and dairy milk or alternative milk. Other specialty drink recipes using the concentrates can be found on the Dona website, which, as you might expect forgoes lots of bells and whistles in favor of a simple, clean aesthetic that pushes the product forward.